The majority of US states have banned dog fighting. This ban carries a felony punishment for violation in all but seven states. 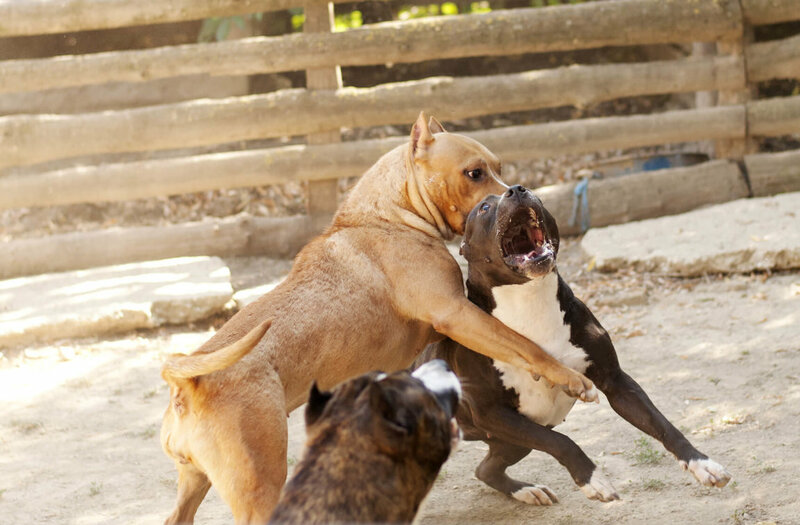 Illegal dog fighting, however, remains a pervasive if hidden practice in many cities. Trainers prepare a dog to fight by imposing a cruel regimen on the dog from the beginning of its life. Trainers starve dogs to make them mean, hit dogs to make them tough, and force dogs to run on treadmills for long periods of time or endure other exhausting exercise. In order to foster the viciousness of dogs, trainers bait them with puppies, cats, and other small animals. The trainer immobilizes the small animals by hanging them up. These dogs, having been beaten and deprived, then maul the small animals to death. In dog fights themselves, dogs are forced to fight through severe injury, often until one or more dogs are dead. Spectators force dogs to keep fighting by prodding and hitting them with sharpened objects. Trainers favor pit bulls over other dogs, because pit bulls have strong jaws. Well-treated and humanely raised pit bulls are affectionate and loyal dogs. To the surprise of many people, they are also good with children. Only pit bulls bred to fight become violent and dangerous animals. Humans in the profession of dog fighting over-breed pit bulls, contributing to the large number of such dogs languishing in shelters throughout the country. Shelters euthanize many of these dogs because homes cannot be found for them. Cruelty to animals is a precursor to violence against humans. Please report any knowledge of dog fighting or other animal fighting to authorities. Never support any form of animal entertainment.